Did you check the specific Matching Capability? Always remember that the dynamic scraping software vendor’s matching engine should be as good as you can have. The reason behind is that the accuracy of the competitors’ products and prices directly depends upon it. You need to be pretty sure that the tool that you going to have, avails the highest possible coverage. Did you check the Expansion Capability of your Tool? Beginning with products and competitors of smaller set is might be preferred by retailers in general. With this I mean to imply that without any compromise with performance and quality more number of products can be compared. You need to keep in mind that in case of having masses in hand, and tracking those products and prices ranging to millions and billions; remember the scale ability must not be compromised. Pricing of data needs to be accurate, slight up or down might invite instability. For this you need to be sure that the QA goes swiftly. Remember market is tough and rude; it never gives a second chance to correct the mistakes. The quality assurance checks based on human scales revolve on regular basis and they also assure the 100% accuracy. Some people consider ‘web scraping’ as simple website ‘scraping’ but wait, it isn’t so. You need to take it seriously and work over it with utmost dedication and should have a technical team that has enough experience to keep you in market. The structure of websites leaves a mega impact on them; this further brings in the challenge to perform extraction, web crawling and data analysis well. Also remember that all the matching engines aren’t same, a poor decision will bring in inaccuracy and incompleteness in data. Can your system be integrated? 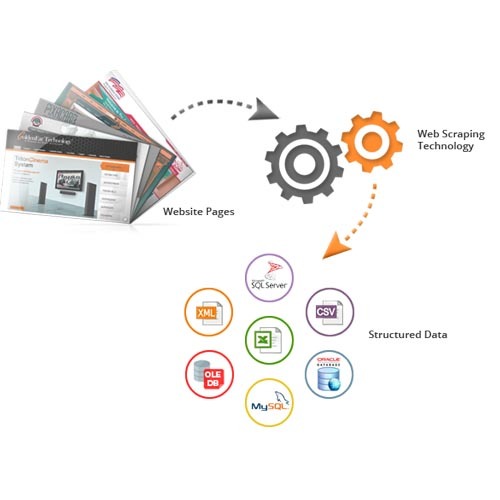 It has been noticed that there are retailers who integrate back-end systems with web scraping services. If you have a good set of Application Programming Interface code, the IT team might find easy to surf the monitoring tool at the back-end systems. The money too keeps the importance. Money is important when you talk business. Retailers have been seeing paying hundreds and thousands of dollars to have competitive pricing data manually collected or to combine manual data handling with scraping tools. The technology has further made the pricing data collection easier in comparison and moving further due to automation the cost reduced drastically. Thus you can now very easily find the web scraping services at a very low rate. Did you know about SaaS? Yes I’m talking about the Software-as-a-Service basis. You can find website scraping software providers these days which allow you to pay on a monthly basis for the subscription of service. Thus the beginning and growth is entirely in your hands. Keeping the highest quality competitive pricing data and vendor will make pricing profitable, manageable and easier. So remember you need to have a competitive price monitoring solution provider with a flexible, technologically-swift and smoother work and can impeccably gather the statistical needs of the company.